Adventure Cyclist Review the Saga Disc! Patrick O’Grady checks in on one of his favorite touring rigs as Soma adds stepped-up stoppers to create the Saga Disc. See his full review in the May 2015 issue of Adventure Cyclist magazine. PDF file here. This was a pretty unusual build with 42c knobby Cazadero tires, 46-30t IRD Defiant Cranks and SunXCD derailleurs. 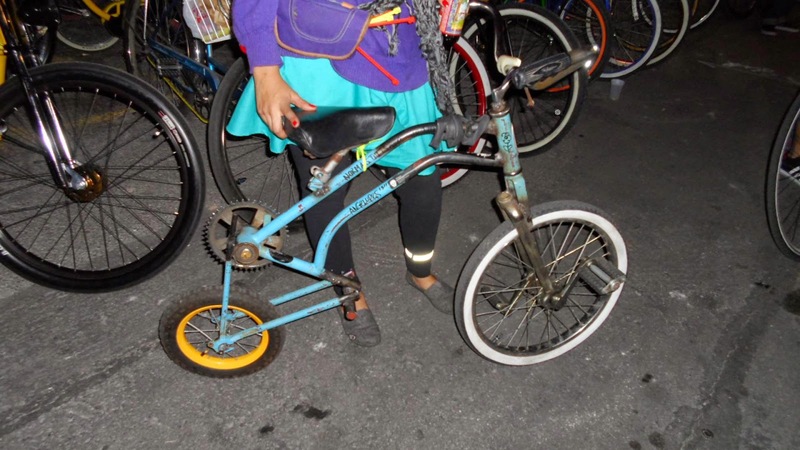 Norma is a proud new owner of a Grand Randonneur. She is currently getting ready the California Coast Climate Ride. She was born and raised in Los Angeles, specifically East L.A. And has lived in Oakland, CA for two and a half years. What kind of riding do you do? If you have one, what is your favorite ride route? I've been car-free since 2010 and don't like waiting for public transit so bicycling is my #1 way of getting around. I also really enjoy night-time group rides, though I haven't been doing too many here in Oakland. Believe it or not, L.A. has a huge bike culture and those people are some of my best friends. I need to do more bike camping. My old bike (a late-80's single-speed conversion Bianchi) didn't really allow for too many camping trips. I'm excited to get some racks on my Grand Rando...I anticipate a lot of bike camping this season. My favorite ride route is actually my commute to work. I get to ride alongside the water by Jack London Square and it's always really calm and quiet. Great way to start a work day. I also like to ride the Iron Horse Trail. What kind of bikes have you had before or still have? If you have a ton, just share the most memorable. My aforementioned Bianchi has been my only regular bike for five years. It was actually given to me by a really good friend, so it's not my size but it has done me really well. 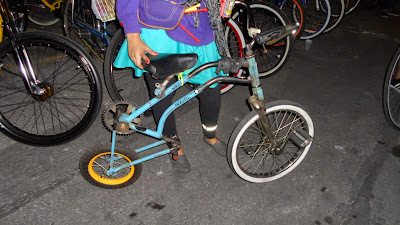 Meet GOAT, a 70's Schwinn cruiser cut-up, flipped and welded onto a unicycle wheel. If you've never built a freak bike, I highly recommend it. 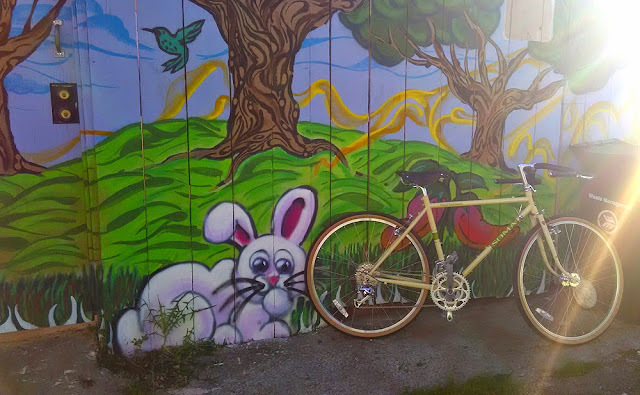 What made you choose a Grand Randonneur and/or how do you like it so far? It's by far one of the prettiest bikes I've seen and one of the few that comes in my size. So far, I'm loving how easy it is to ride...going from a SS to gears is one of the most life-changing experiences I've ever had! And having a bike that can handle dirt and gravel is amazing. Norma's got her 49cm Grand Randonneur built with Soma Three-Speed Bars. What you excited about doing, trying or going in 2015? I'm definitely excited about the Climate Ride in a couple of weeks (you can donate to my cause here.) It's the first time I'm doing a multi-day, hundreds of miles tour and it's especially exciting, because I'm doing it on behalf of my organization, the California Bicycle Coalition. 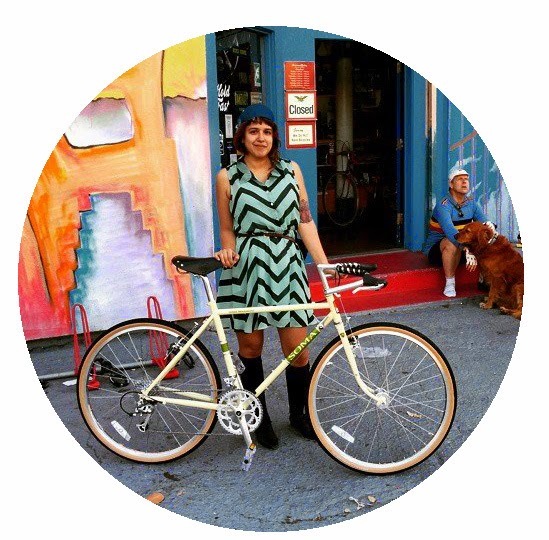 I'm also excited about working in bike advocacy and all the exciting things we're getting done. More people on bikes = positive change in our society. Is there an activity, hobby or cause that you are involved in now that you would like to share? For the time being, my biggest cause is getting more people on bikes. I volunteer for all sorts of events when I can (Save the Bay clean-ups and Sunday Streets are two of my favorites) I also am starting to work on a huge build project for Burning Man, which is very exciting. What's on heavy rotation on your MP3 player/streaming service? Lykke Li, Hot Chip, and Sia.